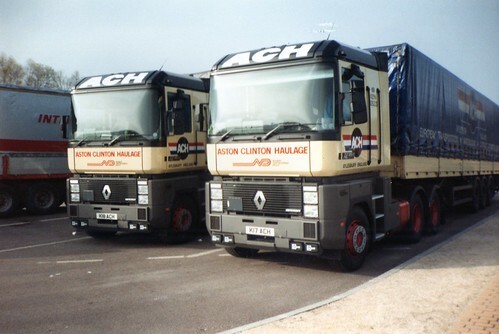 For those who aren’t aware I have a big affection for old Buckinghamshire family firm Aston Clinton Haulage. Why? 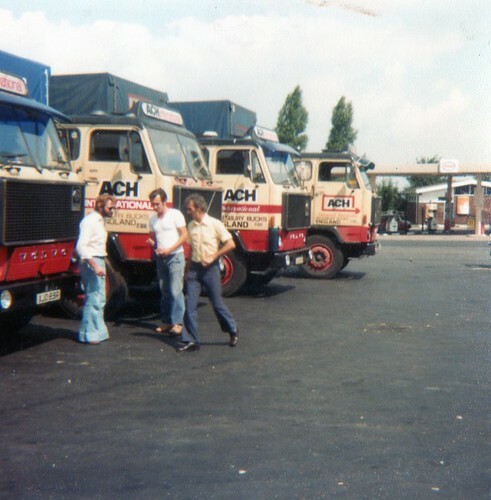 My dad worked there back in the early 1970’s before I was born and so far I have only found 13 photos of his in my 33 years on the planet, so with the age on the tinternet I am now cashing in and have even set up an ACH Facebook Page for like minded fans. I think because I have so little of ACH from my old man that I want more and more. It turns out there are a few ex drivers following the FB Page and one man in particular, Dave Mortimer has kindly sent me 80 odd photos from his 30 year driving career with the Beige and Black from Aylesbury. I have to say some of Dave’s photos are just brilliant. Now I think I love ACH that little bit more! 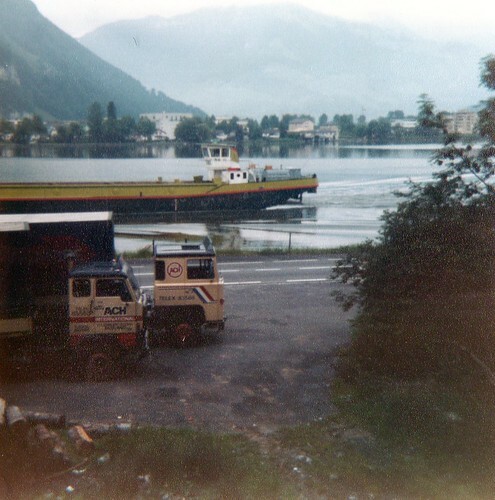 I have scanned all the photos and put them on the flickr page, so click HERE to see the set. What an insight into one man’s career. I just love em! If you know any thing, any one, have any photos of ACH then please get in touch. You can email me at ben@truckblog.co.uk and I will look forward to hearing from you. 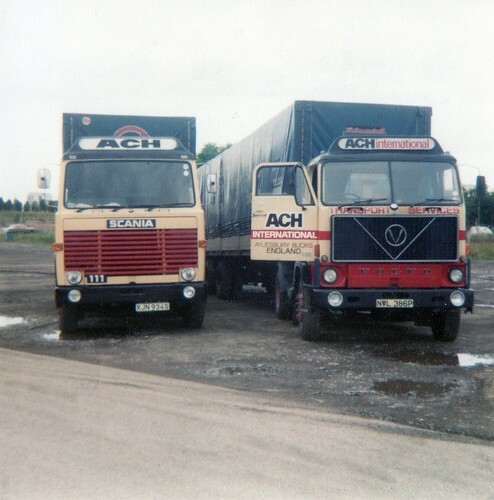 Just think if ACH had kept going and my parents had stayed in my home town of Aylesbury, ACH would have been my closest haulage firm. Thanks to Dave Mortimer for the photos, he has said there could be more to come, we’ll see…. 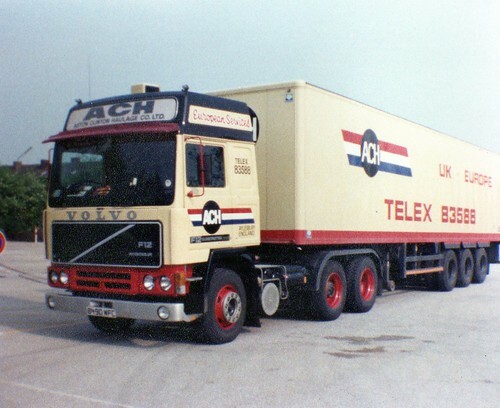 This entry was posted in ACH (Aston Clinton Haulage), Drivers Photos, Golden Oldies, International Mega Trucking by truckbloguk. Bookmark the permalink. I wonder how it was to travel on old roads, when motorways weren’t built. Your list is quite adventurous and I like the places you have included I it. nice article, love the history & old pics but there is still a few others doing international work, its not just E.M.Rogers! 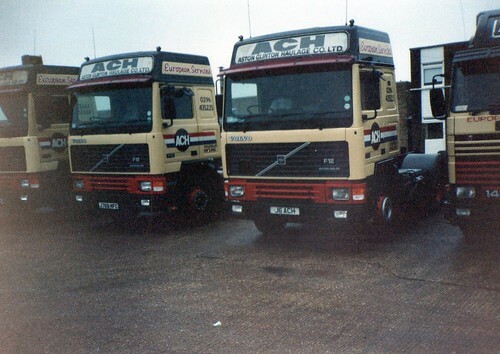 I think Dave Mortimer was referring to the other hauliers he used to run with. We all know there are now only a handful of top international hauliers in the UK and not just those pulling standard trailers.